It is no secret that luxury car lovers are attracted to Porsche vehicles. This passion is something that is carried throughout the Porsche Salt Lake City team, from our sales associates to our dedicated technicians. We are proud to announce that two of our own technicians have received the Porsche Technician Tenure Award to honor that passion and commitment to service. The automotive industry is rapidly changing with brands striving to deliver the most innovative technology and design. Traditionally, this has lead to high turnover rates for automotive technicians, but Porsche remains an exception in this area. As an industry leader, 10% of the more than 1,300 current technicians have spent at least 20 years with the company. The Porsche Technician Tenure Award was created to honor the dedicated technicians who spend their careers learning the intricacies of the Porsche lineup and serving clients with their unparalleled knowledge. As a way to continue to honor continuing dedication, PCNA will be annually recognizing those with 20, 30, 40 and 50+ years of service as a technician. Designed by Dustin Gilleland, each award includes touches that Porsche technicians see daily in each vehicle they work on. The curved front of each award represents the updated Generation 4 design of current Porsche dealerships. A cut section of a Porsche ceramic composite brake rotor is also incorporated as a symbol of the work technicians do. The finishing touch includes a model car to represent the decade the technician awarded joined the Porsche team. The only award to have a model 356, the generation model before the iconic 911, was that of our very own Larry Moulton. 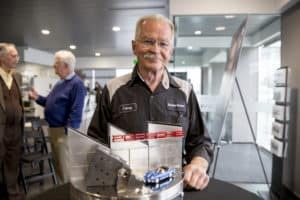 Larry Moulton, 74, has spent the majority of his life focused on keeping Porsche vehicles and their drivers on Utah roads. A Gold Level Porsche Certified Master Technician, Larry has been repairing and maintaining Porsche vehicles for 56 years, 53 of which has been with the Strong Auto Group. That passion has shown through to customers and colleagues alike, many of which surrounded Larry when he received this prestigious honor. 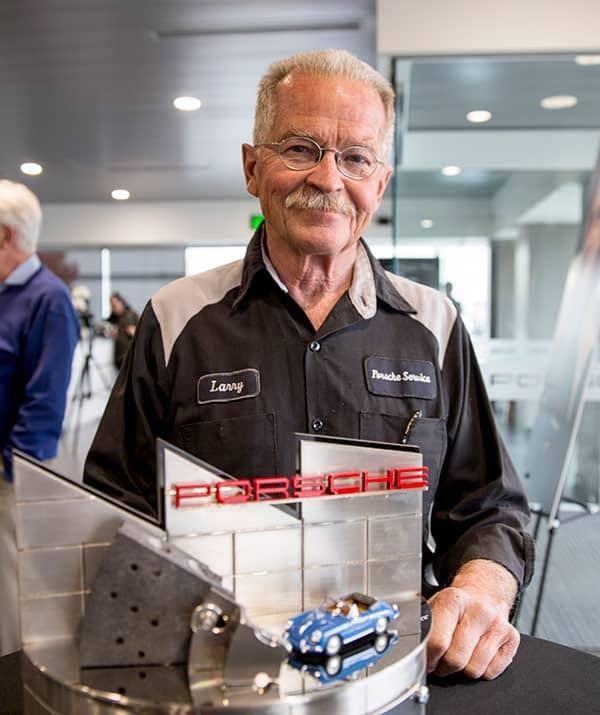 Larry’s award was hand-delivered by Klaus Zellmer, President, and CEO of PCNA, on Nov. 1 at Porsche Salt Lake City, one of the oldest Porsche dealerships in the U.S.
After Larry was presented with his Porsche Technician Tenure Award, technician Randy Yates was surprised with an award of his own. Randy was recognized for his 35+ years of service – all of which has been with the Strong Auto Group. Randy and Larry have developed a close friendship in their time with Porsche, and celebrating together is a moment they both cherish. This year, 125 technicians throughout the U.S. received their own personalized awards for 20 or more years of Porsche service. At Porsche Salt Lake City we look forward to seeing these numbers grow year after year as we prove to both our employees and customers that we are in it for the long haul. Next time your Porsche needs servicing, visit us our service center at Porsche Salt Lake City. Say “hello” to Larry or Randy when you bring your vehicle in and know that your car is being handled by the best in the industry. 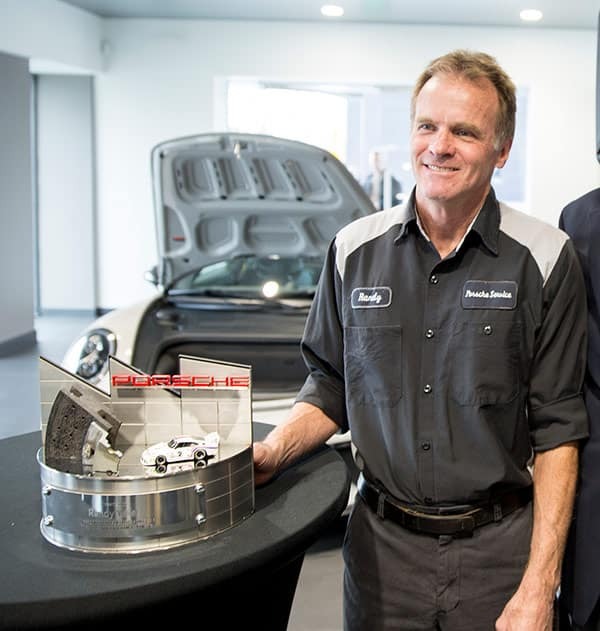 Larry Moulton, of Porsche Salt Lake City, is the longest tenured Porsche dealership technician in the United States. 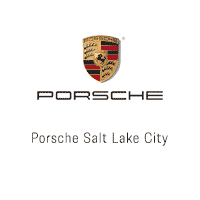 Porsche Salt Lake City values you in the same way we value our team members – we’re with you for the long haul. 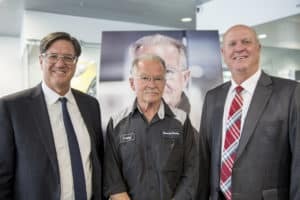 Our own Larry Moulton, 74, has been servicing cars since 1962, a year before the debut of the iconic Porsche 911, and on Thursday he was recognized as the longest-tenured Porsche dealership technician in the United States. Larry is a Gold Level Porsche Certified Master Technician, and has spent 53 of the last 56 years working with the Strong Auto Group. 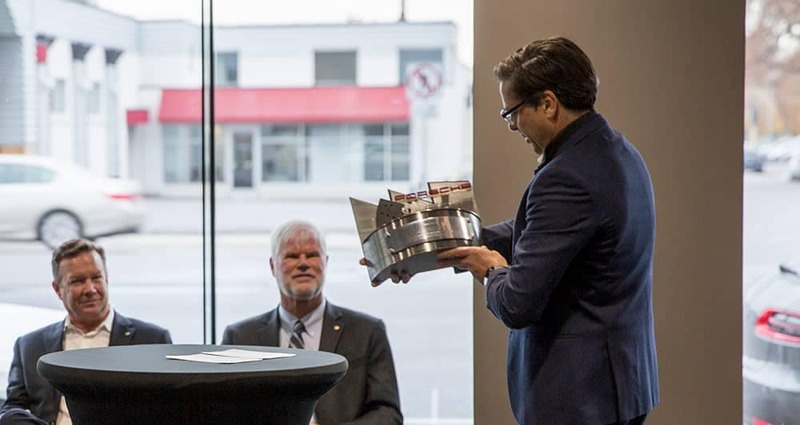 Mr. Moulton received the Technician Tenure award from Porsche Cars North America, along with 125 other distinguished Porsche technicians from the 190 independently owned and operated Porsche dealerships who all celebrated more than 20 years of experience. 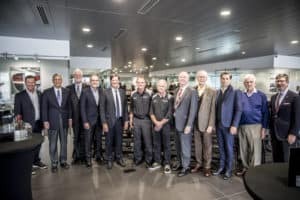 This new award is meant to honor the dedicated technicians who spend their careers learning and understanding the intricacies of the Porsche lineup, serving clients with their distinguished knowledge. As a way to continue to honor continuing dedication, PCNA will be annually recognizing those with 20,30, 40 and 50+ years of service as a technician. 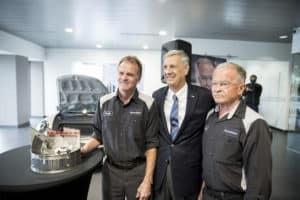 Larry received his award from Klaus Zellmer, President and CEO of PCNA, on Nov. 1 at Porsche Salt Lake City, one of the oldest Porsche dealerships in the U.S.
A bigger victory is that PCNA is unveiling the Technician Tenure Award as the entire automotive industry is witnessing major changes, including higher technician turnover. 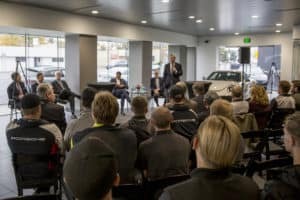 Porsche Salt Lake City and the entire Porsche dealer collective is challenging that trend, recognizing the extreme importance of employee dedication. Overall, according to PCNA, almost 10% of the more than 1,300 current technicians have spent at least 20 years with the company – evidence of our commitment to supporting our team in the same way we support our clients and community. Larry is an excellent representation of Porsche Salt Lake City. Larry with his PCNA Award. Larry and this year’s other PCNA Technician Tenure Award winners.